Sweden Wants Your Trash : The Two-Way Move over Abba, Sweden has found new fame. The small Nordic country is breaking records — in waste. Sweden's program of generating energy from garbage is wildly successful, but recently its success has also generated a surprising issue: There is simply not enough trash. In May 2011, uncollected rubbish piled up in Naples, Italy. Sweden hopes Italy might be willing to export the problem. Move over Abba, Sweden has found new fame. The small Nordic country is breaking records — in waste. Sweden's program of generating energy from garbage is wildly successful, but recently its success has also generated a surprising issue: There is simply not enough trash. Only 4 percent of Swedish garbage ends up in a landfill, according to Swedish Waste Management. Due to its efficiency in converting waste to renewable energy, Sweden has recently begun importing around 800,000 tons of trash annually from other countries. Norway is now paying Sweden to take its garbage. Swedish sights are also set on Bulgaria, Romania and Italy as future trash exporters, as Catarina Ostlund, a senior advisor for the country's environmental protection agency, told PRI. Those countries rely heavily on landfills – a highly inefficient and environmentally degrading system. 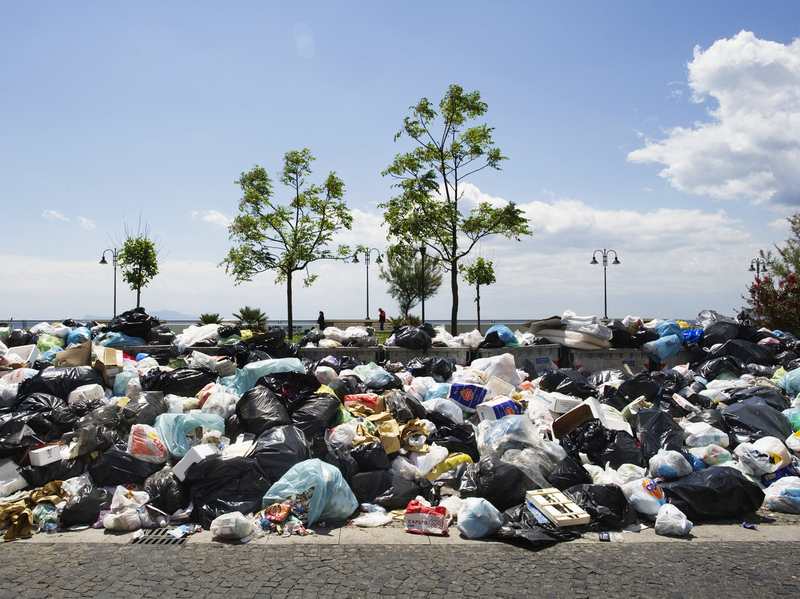 Sweden is leading the way in waste management, but it is one of few. We live in a world where nearly 70 percent of deep sea Arctic creatures are in contact with human trash like plastic bags and beer bottles. In the United States, where the EPA says 250 million tons of trash was generated in 2010 alone, only about 34 percent was recycled. Sweden creates energy for around 250,000 homes and powers one-fifth of the district heating system, Swedish Waste Managements says. Its incineration plants offer a look into the future where countries could potentially make money off of their trash — and not just dump it in the ocean or bury it in mass landfills. "I would say maybe in the future, this waste will be valued even more," Ostlund said. "So maybe you could sell your waste, because there will be a shortage of resources within the world." Leave it to the Scandinavians to make even trash chic.